Move your shooting forward! The collection includes Take Your Best Shot (Book I), To The Target (Book II) and Beyond The Target (Book III) by Daniel Schindler. These books offer a direct path to better shooting and higher scores. Written in clear, simple plain language to help shooters of all skill levels take the mystery our of shooting and move their game forward. To view individual books, Click the SHOP tab (above) then click Books, Tips and Articles for individual book offerings. A Sporting Clays and Wingshooting Primer" Book One, 3rd Edition by Daniel L. Schindler. Thousands of copies sold. "Take Your Best Shot" is required by several shooting programs, including Jacksonville University and Carolina Clays (SCTP). A primer for those who want to improve their shooting, "Take Your Best Shot" helps you get organized before and after you step into the shooter's box. Regardless of skill level, your shot should be planned carefully before calling for the target. To finish a shot properly, it is vital that you start properly. Many times when one's shooting goes south, the shooter's gotten a bit careless with their fundamentals. Using clear, plain language, this book answers your questions about equipment selection; chokes and loads; set-up in the box; strategies; shooting methods and managing your expectations. Each shooting tip is a building block to move your shooting to the next level building a solid foundation. Two sporting clays targets...one hit, one not. Why are both complete mysteries? I promise you, talented shotgunning is not a mystery. In these pages, you will find a shooting formula...a simpler approach that un-complicates your shooting. Here are the basics...the fundamentals so essential to your understanding, precisely, what to do, and how. The right set-up and strategy. Repeating the successful shot - consistently. A Sporting Clays and Wingshooting Primer," Book II by Daniel L. Schindler - "To The Target" is written for the Entry-level to Advanced Shooter and build on "Take Your Best Shot" Book I. "To The Target" is, in a way, a map. Using plain language, it cuts through the mystery of shooting and shows you the shortest route to breaking one target after another - from the first field to the last. "To the Target is full of valuable information directly pertaining to the shotgun sports. An essential part of any shooter's library, I just wish it had been around when I started." Daniel Schindler's newest book, is definitely “not” a rehash of all you’ve read, seen and heard over the last decade. Focused and completely up to date, Book III’s Truths and facts dispel the all too common myths and mysteries that are slowing down your progress, without "gobbledygook" and reducing your scores. Entertaining and easy to read, here are the advanced principles and methods that carry shooters to the very highest levels of performances in the shooting box. Here is a veritable wealth of information explaining where inconsistency really comes from and what exactly must be adjusted in your game to move you forward, raising your X count. Equipment selection recommendations…gun fit…shooting methods beyond the basics…where competition pressure really comes from…distraction management…Pre-Shot routines…creating a peak performance…a training regimen that actually works…these are just a few of the topics covered in depth. The 3 required Skill Sets are all individually discussed with detailed recommendations on how each works and why they are indispensable in the shooting box. This is your Instruction Manual…the step-by-step process…guaranteed to move your game to the next level. 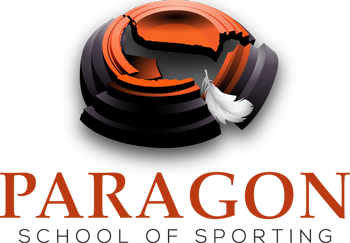 Dan Schindler is a Master Paragon Instructor (USA), NSCA Level III Instructor (USA), and Member of the Guild of Shooting Instructors, (UK). Beyond The Target is a superbly written guide to the proper development of success in clay target shooting, as well as an delightful revelation of your journey in this most addictive of sports. It will serve as constant reference for my own purpose, thank you. "This is a must-read for all of us who have been in the shooting box and questioned why; where; and how did I do that or mess it up? You are asking the right questions. Congratulations for seeking the answers and welcome to an inspirational read, one that illuminates the other side of Sporting Clays." This third volume in the Paragon school trilogy is the second best thing to booking a lesson with Schindler himself. Dan writes the way he coaches in person: respectfully, provocatively, humorously, and, most of all, effectively. His new book informs the Sporting Clays arts not only with a clear and proven blueprint for breaking (many) more targets, but with a great heart as well . . .". . . this is a story of smart subtraction, slicing through the tried-but-maybe-not-so-true gobbledygook that keeps shooters forever mired in performance plateaus."